Rajant entered into a strategic partnership with Extronics, a U.K. company dedicated to making hazardous areas safer. Extronics provides a wide range of Wi-Fi tags for personnel and asset tracking. Grant Seiffert joined the Wireless Infrastructure Association (WIA) as vice president of workforce development and executive director of the Telecommunications Industry Registered Apprenticeship Program (TIRAP). 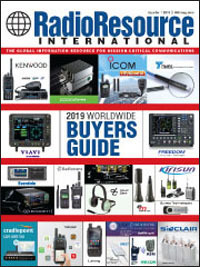 Iridium Communications reported financial results for the first quarter of 2019 and affirmed its full-year 2019 outlook. Net loss was $18 million for the first quarter compared with net income of $11.5 million for the first quarter of 2018. The Safety Alerts for Education Foundation (SAFE) announced that it is donating the Safety Alerts for Education (S.A.F.E.) emergency mobile alerts platform to all schools, colleges and universities across the U.S. free and in perpetuity. The same system has been in use by the Department of Homeland Security (DHS); Massachusetts Emergency Management Agency (MEMA); other federal, state and local agencies; and police departments across the country for the past seven years. Panasonic announced that two of its rugged laptops were certified on the First Responder Network Authority (FirstNet) network as FirstNet Ready. The Department of Homeland Security (DHS) ?Cybersecurity and Infrastructure Security Agency??? (CISA) and ?Science and Technology Directorate??? 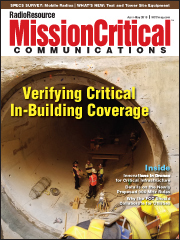 (S&T) are seeking development of new standards to improve the security and resilience of critical mobile communications networks through a new solicitation.? ?